Murder by Gaslight: Scenes from the Burdell Murder. The 1857 murder of Dr. Harvey Burdell, with its colorful cast of characters and upscale urban setting, was the kind of story that sold papers for the penny press and the nascent illustrated newspapers of the day. 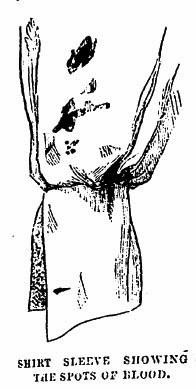 In fact, Frank Leslie’s Illustrated Newspaper was on the verge of bankruptcy when they sent an artist to the Burdell crime scene. The coverage sold enough copies to keep the paper afloat and Frank Leslie’s Illustrated Newspaper became a national institution publishing for another sixty-two years. 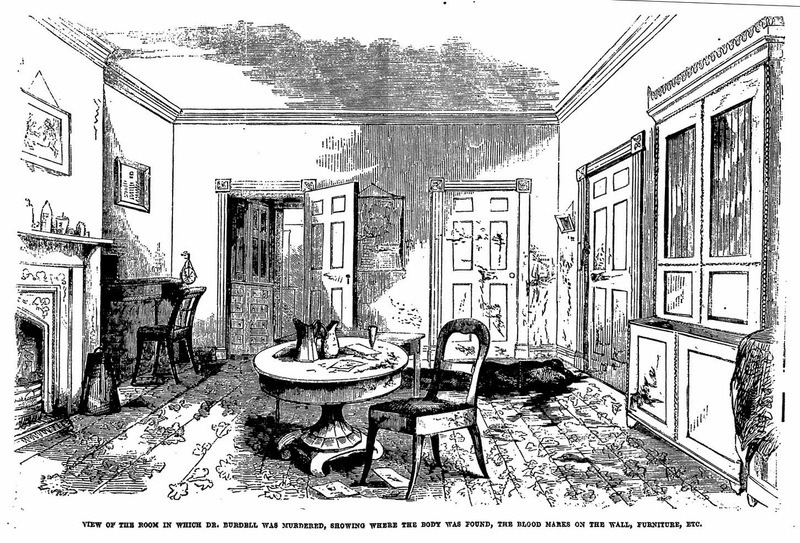 This post summarizes the Burdell murder using engravings from Frank Leslie’s Illustrated Newspaper and other contemporary sources. The details of the Burdell murder can be found here: The Bond Street Tragedy. The murder took place in a boarding house at No. 31 Bond Street in Manhattan, owned by Dr. Burdell and managed by his paramour, Mrs. Emma Cunningham. All of the murder suspects boarded there. The Residents of 31 Bond Street. Dr. Harvey Burdell was a prominent and successful New York City dentist and real estate speculator. He was also a sporting man and a libertine, known to frequent gambling halls and borthels. In 1857 his affair with Emma Cunningham was turning sour and he was planning to evict her from the house. Emma Cunningham was a widow with five children when she set her sights on Harvey Burdell and won his affection. She knew her position with him was tenuous and she was jealous of the other women she knew Burdell was seeing. After Burdell’s death she produced a marriage certificate showing that the two were married; at his request they had kept the marriage a secret. John Eckel was tanner who had a room on the third floor of 31 Bond Street. 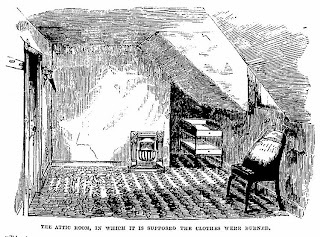 His room shared a door with Mrs. Cunningham’s bedroom and maids at the boardinghouse testified that the two were sleeping together. 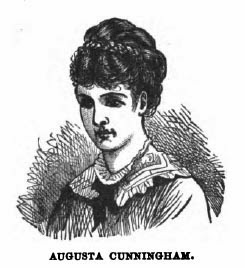 Augusta Cunningham was Emma Cunningham’s twenty-two year old daughter. 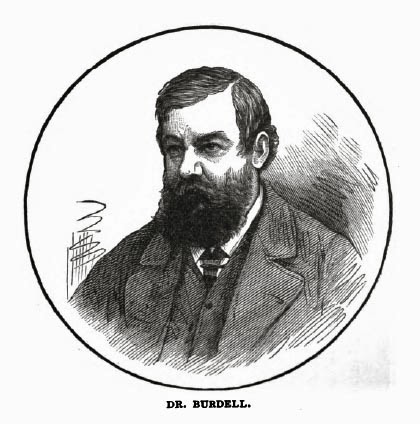 August was implicated in the murder because a business associates of Dr. Burdell testified that Burdell feared violence from Augusta and her mother, along with John Eckel and George Snodgrass. 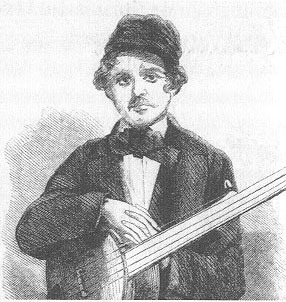 George Snodgrass was a poet and a banjo player with a room on the third floor of the boardinghouse. He was going out with Mrs. Cunningham’s daughter Helen and when his room was searched the police found some of Helen’s undergarments. It was implied that he was sleeping with Augusta as well. 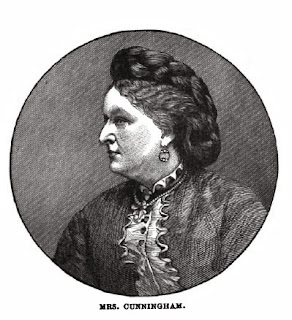 Helen Cunningham, Mrs. Cunningham’s fifteen year old daughter had a room on the same floor as George Snodgrass. 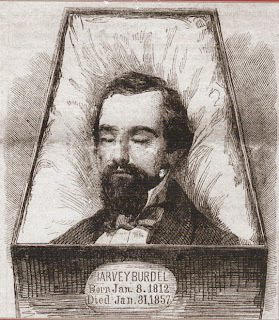 The morning of January 31, 1857, the body of Dr. Harvey Burdell was found in his office. He had been strangled and stabbed multiple times in the heart.. In an attic closet they found a shirt with blood on the sleeve. 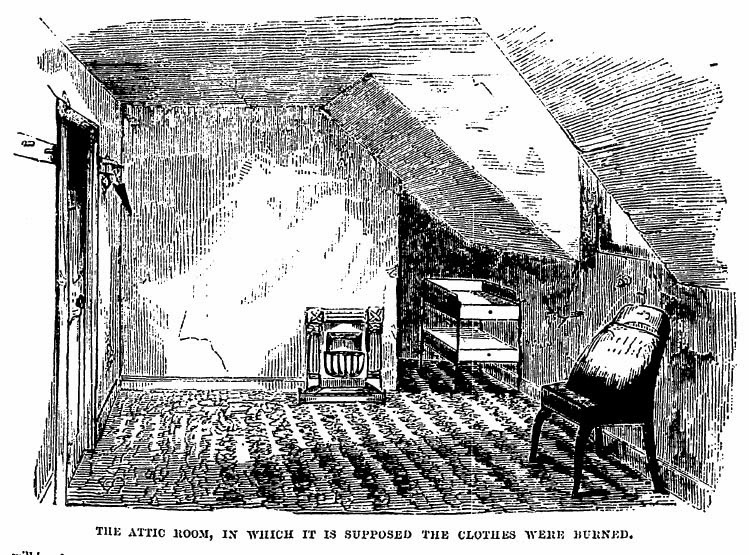 The police believed that other bloody clothing had been burned in a stove in an attic room. 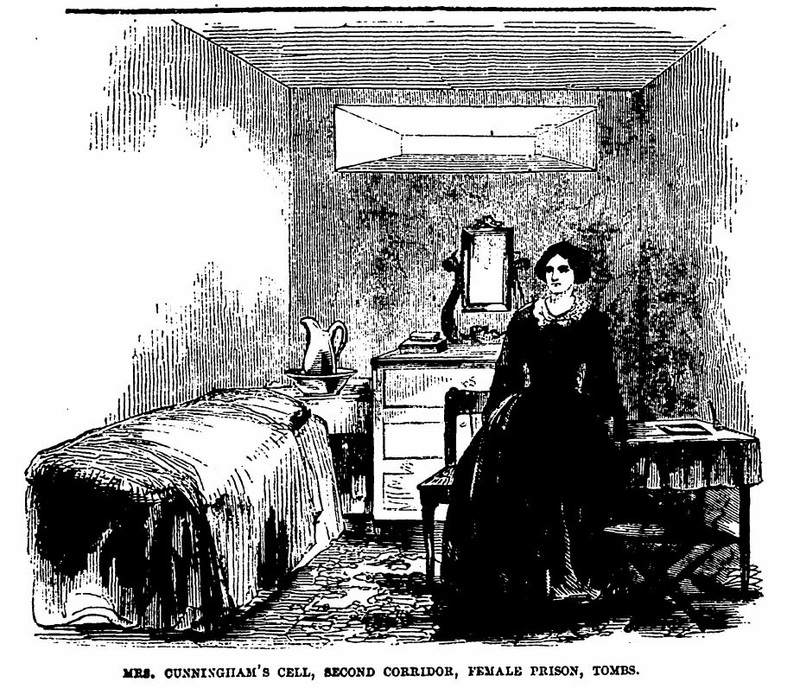 Mrs. Cunningham, John Eckel, and George Snodgrass were arrested and taken to the Tombs prison. 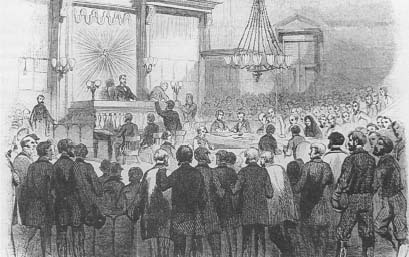 The trial of Mrs. Emma Cunningham for the murder of Harvey Burdell began on May 6, 1857 and drew enormous crowds. 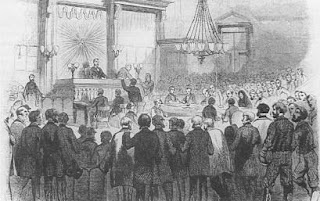 Her attorneys succeeded in focusing the trial on Dr. Burdell’s reputation and Mrs. Cunningham was acquitted. Charges against John Eckel and George Snodgrass were dropped. 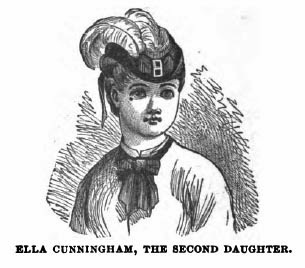 Though Emma Cunningham was acquitted of murder, this was not the end of the story. 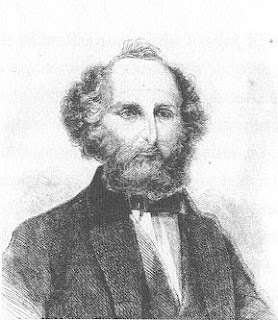 Harvey Burdell’s relatives were contesting Emma Cunningham’s assertion that she and Harvey were married. 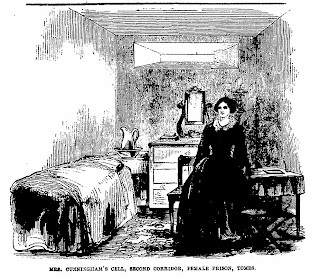 While still in jail, Emma came up with a plan to secure her claim to Burdell’s estate—she falsely claimed to be pregnant with his baby. When the time came to deliver the baby she arranged for her doctor to obtain a baby from Bellevue Hospital. The ruse was carried out, but the doctor had already told the district attorney of the plan. Emma was caught with the “borrowed baby” and arrested for fraud. Elizabeth Anderson, the baby's real mother. 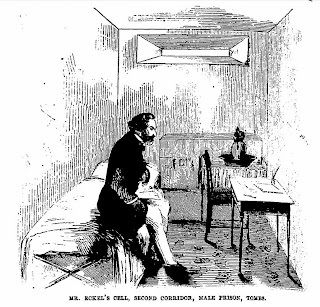 "[Mrs Cunninngham's Cell]." Frank Leslie's Illustrated Newspaper 16 May 1857: 16. "Another Terrible Act in the Burdell Tragedy." Frank Leslie's Illustrated Newspaper 15 Aug 1857: 168. "The Bond Street Tragedy." Frank Leslie's Illustrated Newspaper 21 Feb 1857: 186. Triplett, Col. Frank. History Romance and Philosophy of Great American Crimes and Criminals. New York: N. D. Thompson Publishing Co, 1885. Very interesting. Some things never change. What a complicated story! Must have caused quite a stir!